When we visited The Netherlands last year I really made an effort to take day trips from Amsterdam. There are so many places to visit in The Netherlands yet somehow people always stick to one day in Amsterdam only and only plan to sightseeing Amsterdam. Although Amsterdam is a fantastic city, don’t get me wrong, I love Amsterdam, it is a HUGE missed opportunity to not visit other high lights of The Netherlands when you have the chance. In this overview we will tell you about the 10 best day trips from Amsterdam for families. 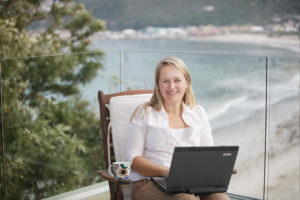 I’m originally from The Netherlands so we travel quite a lot between Cape Town and Amsterdam and we have visited a LOT of different places in The Netherlands. The last time we visited Amsterdam we were a bit overwhelmed by the amount of people so this time around we explored and found these best day trips from Amsterdam for you. Amsterdam is great but it is not the only place in The Netherlands that deserves your attention. So when you plan to visit Amsterdam makes sure to have enough time to take some Amsterdam day trips. 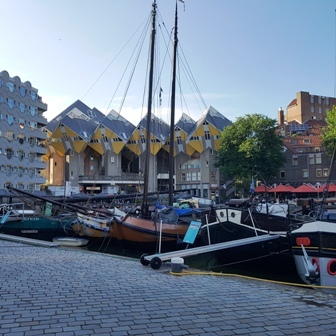 By now most people know the Amsterdam tours like the Amsterdam Canal tour, the red light district (ok maybe not with your children…LOL), then of course the amazing museums like the Rijksmuseum and the Van Gogh Museum but what about an educational visit to the biggest harbour in Europe? Or how about the most stylish city in The Netherlands and yes we do have awesome beaches in the Netherlands too. So yes DO take day trips from Amsterdam and in this article you will find 10 day trips from Amsterdam that we can recommend. This post contains affiliate links, read more about our disclaimer HERE. Rotterdam is only a 40 minute train ride from Amsterdam and it is one of the places to visit in The Netherlands that we highly recommend. Rotterdam is a super interesting city for it’s many modern museums and the cultural diversity of the city. Rotterdam boasts the biggest harbour of Europe and we highly recommend you take a very interesting harbour boat tour. Hotel New York is a historic icon that you don’t want to miss out on. Just have a coffee on the terrace and then cross over to the Fenix Food Factory where you can choose from many food vendors to have a lovely lunch, like we did. Visit the iconic cubic houses, relax in the pool at the SS Rotterdam and much more. You can read HERE our detailed article on our 3 days in Rotterdam. On the picture on the right you can see the famous yellow cube houses as seen from the old harbour. Rotterdam is really such a fun city! The Hague is also just a 40 minute train ride from Amsterdam so you can visit The Hague easily as well. To be honest, the public transport in The Netherlands is pretty amazing and you will get easily around and get anywhere using public transport. The Hague of course is famous for it’s Peace Palace and the many embassies that are situated here. I had the pleasure of attending The International Hotelschool here so I have fond memories of The Hague. Parliament is based here as well so you might have the chance to run into a minister or 2, on their bicycles of course. The Prime Minister is known to cycle to work as do many Dutch people, rain or shine. Madurodam is a miniature park on the way to Scheveningen where the beach is. A visit to Madurodam is great and education for the entire family. We spend a lovely morning on the beach visiting a South African friend who had just relocated to The Netherlands. YES The Netherlands does have beaches so if it is a hot day, a great day trip from Amsterdam is either to Zandvoort or to Scheveningen which is close to The Hague. If it is a really hot day you will find many people on the beach and it can get very busy. However, the Dutch REALLY appreciate when then sun is out so you will find many people just being in a good mood and enjoying this rarity (although 2018 was the best summer EVER, we had 5 weeks of sunshine, it was amazing). Did you know that The Netherlands has some lovely islands up north? If you have a bit more time then 1 or 2 days, I would recommend you visit one of the islands. Vlieland for example is car free. What a great place to spend some time with you kids! you can take the ferry from the main land. A great day trip from Amsterdam is a 30 minute train ride to Utrecht. I used to live here before I moved to South Africa so again I have fond memories of this city. 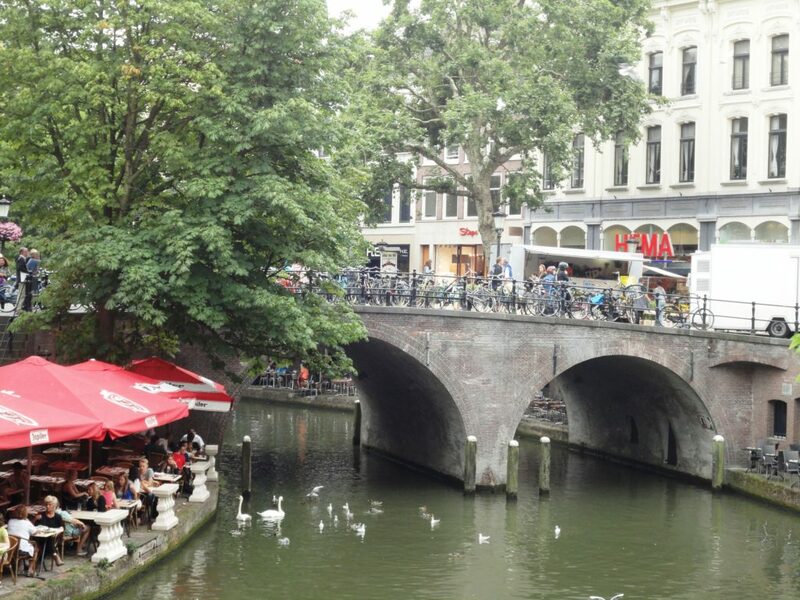 It is MUCH smaller than Amsterdam but it also has canals which makes it a charming city to explore. 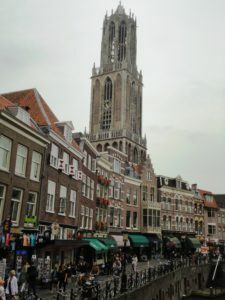 You can take boat rides and you can climb up the Dom Toren, see picture, which is the highest church tower in The Netherlands. It is 112 meters high. If you enjoy cycling, which I highly recommend in The Netherlands, rent a bike from Utrecht and cycle along the river Vecht to Weesp. You will pass the most beautiful parts of The Netherlands and it is all flat. It is a 46 km bike ride. Even if you just make it to Maarsen and Loenen you will see beautiful villages, mills, castle, bridges and lovely terraces to make a stop for a drink or lunch. You will feel truly part of the Dutch! A great experience for the entire family. If you have small children, a visit to the ‘Nijntje’ Museum is a must. Every Dutch child LOVES this cute rabbit. You can find books about Nijntje’s adventures as well as videos and a lot of educational toys that feature this lovely rabbit and her friends. About 2.5 hours by train from Amsterdam, Maastricht is one of the best day trips from Amsterdam that I highly recommend. And not only because this is my city of origin. Maastricht is situated a few km from the Belgium border and a few km from the German border so it is very international with a huge university. Maastricht is a shopping paradise for those who like haute couture. Strolling the streets of Maastricht, gazing at the beautiful shop windows, enjoying coffees on the many beautiful squares like The Vrijthof en the Onze Lieve Vrouwen plein (= square) are our favorite things to do in Maastricht when we visit. The Bonnefanten Museum is another high light you should not miss in Maastricht. 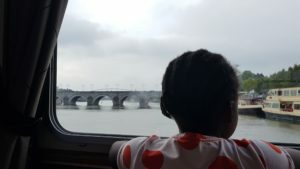 This time when we visited we finally took the boat from Maastricht to Liege in Belgium which was entertaining and interesting. The boat passed through the Ternaaien lock where the vessel has to negotiate a height difference of 15 meters. You can book it with Stiphout. Yeah sure why not? Did you know that the travel time from Amsterdam to Paris is only 3.5 hours in the super fast Thalys? So yes, if you just want to tick off Paris, you CAN do this in one day. We did a 3 day visit to Paris BUT what we did in the first day was a heck of a lot and we didn’t even take the first train in the morning. 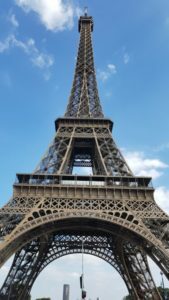 We arrived in Paris at 13h30, were on top of the red city bus by 3pm, had circled around for a couple of hours and seen the Eiffel Tower, then we had a super nice dinner around the corner from our hotel in Montparnasse. We STILL had energy (yes my 6 year old daughter is pretty good and keeping up with me) so we decided to go up Tour Montparnasse to see the disco lights of the Eiffel Tower which they do each hour after sunset. So theoretically we could have hopped back on the Thalys fast train then and be back in Amsterdam at about 1am in the morning. So YES a day trip from Amsterdam to Paris is totally possible because of the fantastic super fast train we took. And our endless energy! We had 3 great days in Paris, Rosie and I. You can read all about how I planned it and what we did HERE! We will def go back as there’s SO much to do! I never thought of going to Paris but Rosie mentioned that she wanted to see the Eiffel Tower and so we went and loved it. Now this visit blew my mind, it was so beautiful. I would recommend you have a car because the public transport connections are not optimal to take this day trip from Amsterdam. It would take about 2.5 hours to get there whereas it is only about 100 km from Amsterdam so a rental car is recommended. And then you are in the middle of beautiful nature. We rented canoes with the entire family and it was absolutely beautiful. My daughter is totally into canoeing so we had a wonderful time here. 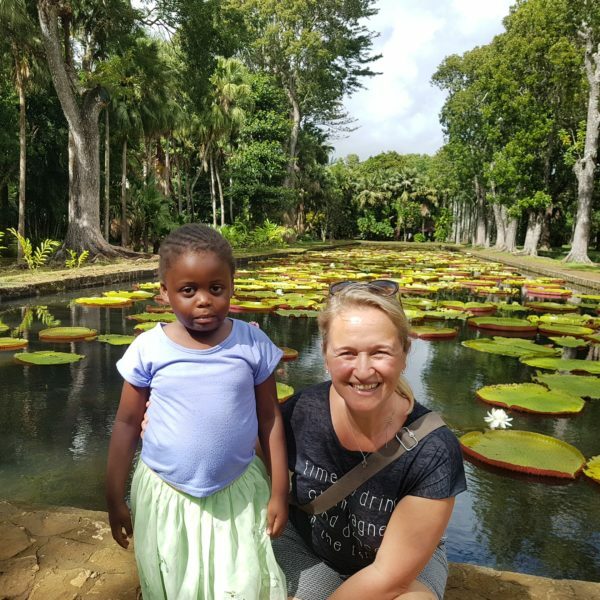 I always thought it was only in Africa where we have such amazing nature, like the Okavango Delta in Botswana but now I have a whole new appreciation for my own country. 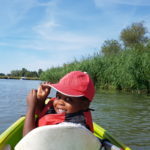 We LOVED our visit to the Biesbosch and would definitely like to return again on another trip. You can walk, cycle and there’s a lovely educational centre about all the flora and fauna in the area which is great with the kids. This is the most famous award winning theme park which ALL Dutch kids LOVE and at least have to go to once. My daughter at the moment is still scared of dressed up people so this is a no go zone for her but De Efteling is really unique and has to be experienced with the family. I’m looking forward for my daughter to start enjoying this. De Efteling can be done in a day trip from Amsterdam, it takes about 1 hour and 15 minutes. If you use public transport you will take the train from Amsterdam to Den Bosch and from Den Bosch you can take a bus to De Efteling. A very popular day trip from Amsterdam is a visit to the Keukenhof Flower park which is only open during 2 months of the year in the European Spring. You will have to check each year what the exact dates are but this day trip from Amsterdam is usually possible from mid-March to mid-May. The best time to visit the Keukenhof is usually mid-April. However, this is also when most people are expected to visit. So it depends if you just want to enjoy a beautiful park or if you want to see certain flowers bloom, you will need to plan carefully. The Netherlands is famous for its tulips and they can bloom from the first week of April. De Keukenhof is situated in Hillegom. 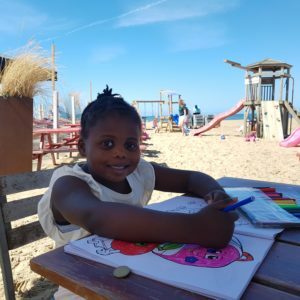 Kids can do a treasure hunt, there’s a petting zoo and a playground and there are playful elements throughout the garden to also keep the small visitors entertained. It is a great, happy, colourful outing for the entire family really. The Netherlands is quite famous for their water management and for good reason. In 1953 the country experienced the worse flood ever and many people lost their lives. The Government then decided to to protect the country from the open sea and commissioned the Delta Works. This is a hugely educational day trip from Amsterdam to learn how the dikes, sea walls and locks protect the country from ever flooding again. In the area you an also visit the historical villages of Veerle, Zierikzee, Middelburg and Domburg. 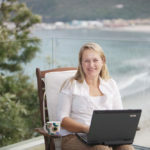 This entry was posted in Blog, Netherlands. Bookmark the permalink.